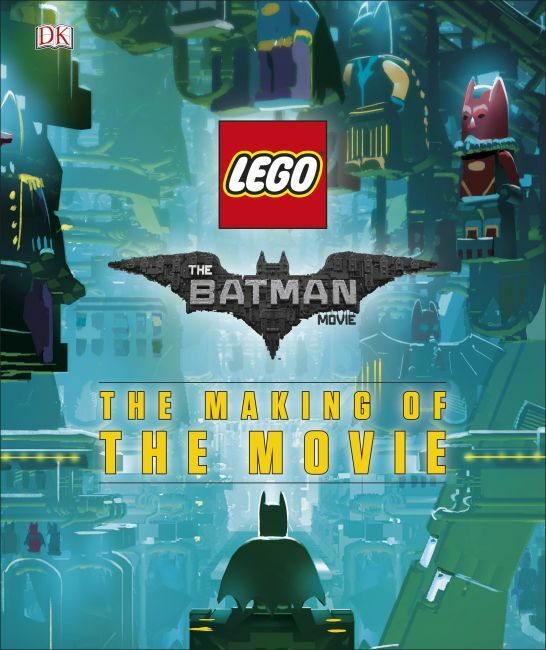 "There are a number of books out to tie in with The LEGO Batman Movie, with the Making of the Movie now on sale and clearly one of the most appealing." "A good buy for LEGO Batman fans"
Open this fascinating LEGO® Batman™ book and discover how The LEGO® Batman Movie was made. Beautifully illustrated, The Making of The LEGO® Batman is packed with information on how your favourite LEGO Batman heroes, villains, vehicles and locations were created for the movie. Explore each development stage of the movie from the initial idea and storyboarding to recording the dialogue and special effects. Featuring lavish spreads of concept art, sketches, inspiration and LEGO builds, this is a must-have for fans of LEGO Batman and The LEGO Movie. Including an exclusive insight from the filmmakers, animators, LEGO designers and actors, The Making of LEGO® Batman Movie is the only book that takes you behind the scenes of the entire LEGO Batman world in such detail. LEGO, the LEGO logo, the Brick and Knob configuration and the Minifigure are trademarks of the LEGO Group. © 2017 The LEGO Group. Produced by Dorling Kindersley under license from the LEGO Group.